One of the main reasons Errol Biebrick became a realtor 15 years ago was to help people. 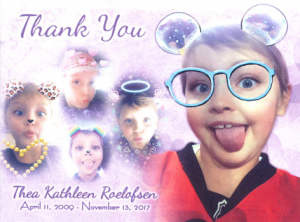 So it’s only natural that the RE/MAX Real Estate (Central) realtor has thrown his support behind an upcoming fundraising event in honour of a young girl who passed away November 2017. The T(hea)-Cup annual Hockey Tournament Fundraiser is being held Saturday May 10 at the Flames Community Arenas. “Thea Kathleen Roelofsen, lovingly known as our ‘T-Bird’, lived a very big, delightfully feisty and uniquely inspirational life. 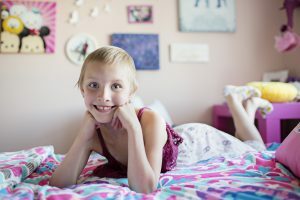 Shockingly, just after her seventh birthday, our sweet T-Bird was diagnosed with an extremely rare metastatic bone cancer, Ewing Sarcoma. Thea’s eighteen-month battle included rounds of chemotherapy, radiation, and multiple surgeries. Thea handled these often brutal and invasive treatments with terrific tenacity, overwhelming optimism, glorious grit, and spectacular strength. These characteristics, although exemplified during Thea’s illness were part of her constitution . . . it was how she was made,” write her family in a letter seeking support for the upcoming event. “Whether you had known Thea her entire life, or had crossed paths for just a moment, her marvelous maturity, thunderbolt thinking and empowering empathy were simply amazing. She was a kid with an undeniable mission while on this earth: To share love and be love in this crazy world! The family says its gratitude compelled it to organize the T-Cup and all proceeds will go to organizations in Alberta that contribute to the well-being and dignity of children and families struggling with a cancer crisis. The family’s specific goal for the 2019 T-Cup is to raise funds for the publishing of a book, written in Thea’s honour by the Principal at her elementary school, Dr. Liana Appelt. Biebrick became involved because he had met Thea’s parents through a mutual connection. He’s helping out by spreading the word about the upcoming event. The team he works with at Central, YYC Group, is sponsoring a photo booth. They’re also doing a partner and business gathering April 10 at Central with people the realtors deal with like home inspectors, mortgage experts and asking everyone to bring a donation to be put towards the book. From Left to Right the YYC Group. 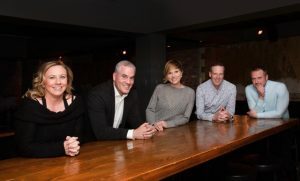 Candace Randall, Errol Biebrick, Lesley Halcro, Mark Lockhart, Clayton Becker. 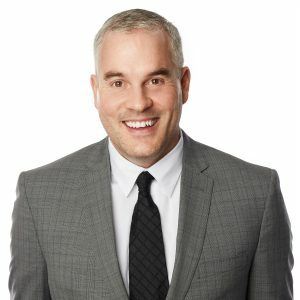 Biebrick was born and raised in Calgary and graduated from Lester B. Pearson High School. He went to Mount Royal College taking marketing management. “I always did want to get into real estate. It’s ironic because my mom and dad like after church on Sunday afternoons we’d always go look at houses. My dad worked non-profit his whole life. He always thought about getting into real estate but never did. He never pushed it on me,” says Biebrick.